Whether you are in the need for a free swinging gate, custom ornamental gate or an automatic gate access you have found the right company to do business with. We look forward to helping achieve your goals. 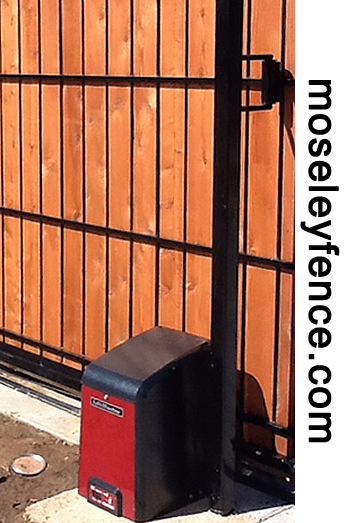 Remote Control Gate Entry is helpful and gives the freedom from putting your vehicle in park and manually opening a gate. 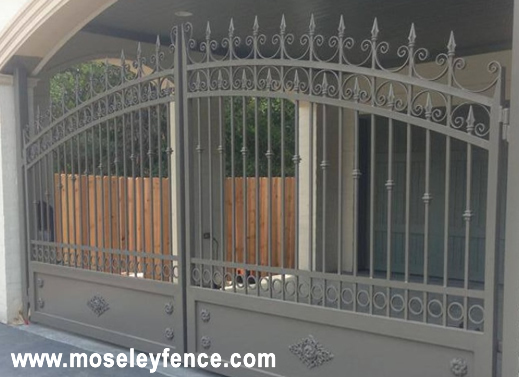 Whatever gate, your home or business requires for functionality, be assured Moseley Fence can design a unique style to embellish your property. Custom Gate and Gate Control including Motorized Gate Control and Solar Panel in Burleson, Cleburne, Alvarado, Joshua, Keene, Acton, Glenview and Glenrose.